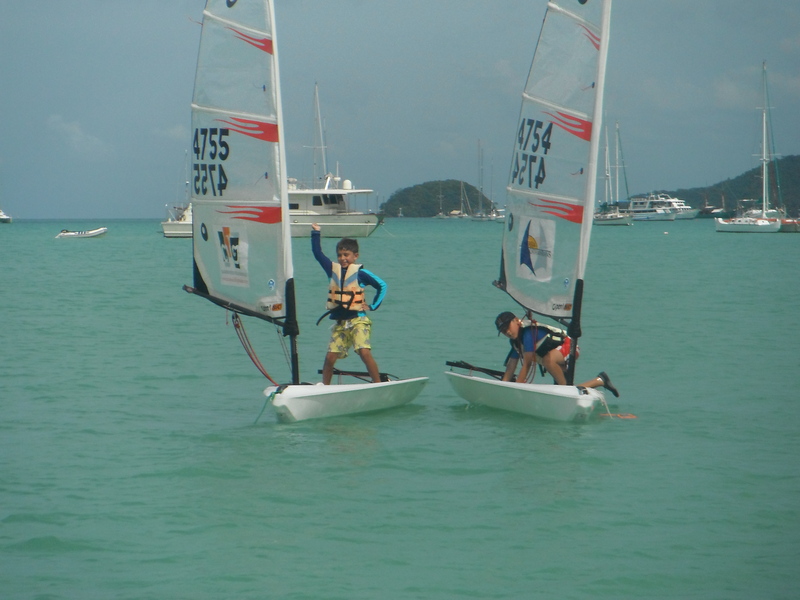 The wind was up and the kids were out sailing – aswell as quite a few adults I must say! Thank you everyone for coming and having fun with us on the Open Bics! Check out the couple of photos we managed to shoot. If you like what you see and want to give it a try yourself email us as school@acyc.asia for more info! We want to welcome you to use the boats during the festive season and want to give you the knowledge to do so safely with your kids. We will show you how to drive the safety boat, rig and de-rig the boats correctly, show you where to store things and some extra hints and tips. This is really important if you’d like to use the boats with your kids and haven’t done so yet. Have a fun festive season! On Saturday 23rd November we are holding a Dinghy race! Club boats will be available and private boats welcome! At 9:00am we will do a short intro for the newbies and parents for how to set up a boat and how to use the tender. Then we get out on the water by 10:00am for some racing and some unconventional racing too – some of the BIC challenges like sailing around the course standing etc. Finish will be at 12:30. 100 baht entry fee for ACYC members and 200 for non members. Filed under: Events, Racing, Sail School | Tagged: Club Races, Dinghy racing, Dinghy sailing, Yacht club |	Comments Off on Dinghy club race! This weekend was a weekend to snuggle up with a cup of tea on the sofa – it was a little squally and rainy so we didnt do as much sailing as we had hoped to. Because in this weather we can all get a little nostalgic here are some photos of sunshine and laughter on the water from last weekend. What an EPIC Open Day it was on Sunday! Not a single drop of rain, lots of kids and adults out sailing together in the dinghies and a bouncy castle on shore! With the wind and weather being in our favor we had lots of fun sailing and meeting new friends! We started at 10am and worked up a big appetite for the Sausage sizzle and the club restaurants delicious Sunday Roast. After a short rest and some bouncy castle action it was time for more sailing! Everyone sailed until the tide was out and there was no drop of water left! If you couldn’t join us last Sunday give us a call and we will still get you out sailing! and taking bookings for our Dinghy Sailing Program. onshore games – including a Bouncy Castle! and the famous Sunday Roast will be served as usual from 12 till 4 PM. So we have made the leap – Facebook here we are. We will keep you up to date with pictures, events (which will be updated all the time), news and what we are up to in general. Oh and by the way – come dinghy sailing on the 24th and 25th – the tides are great all day! Filed under: Announcements, Sail School | Tagged: Boating, Dinghy sailing, facebook, Junior sailing, Phuket, sailing school, Yacht club |	Comments Off on Facebook page launched!